SOLD! 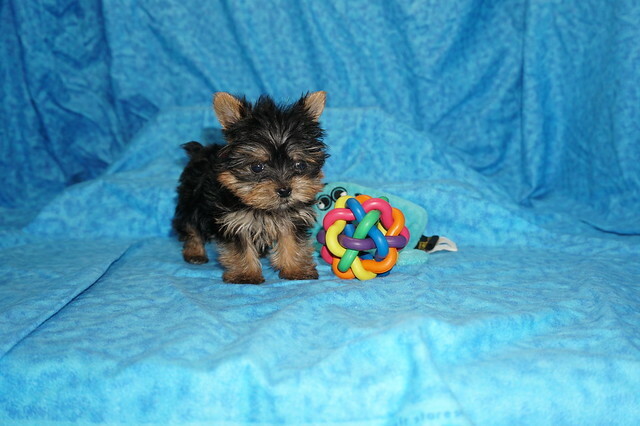 Jordan Sparks Female CKC T-cup Yorkie Is The Puppy Your Looking For! Don’t you just have to know this cutie’s name? Well its Jordan Sparks, and she is just waiting for you to give her that forever home she is looking for. Jordan is the life of the party and will keep you smiling. She is a true cutie. This gorgeous baby girl will be sure to come home to you happy, ready to play and so much love to give. Don’t let this little girl get away. She will be sure to make that perfect addition that you and your loving family have been looking for. « SOLD! Carrie Underwood Gorgeous Female CKC Yorkie Ready To Steal Your Heart!